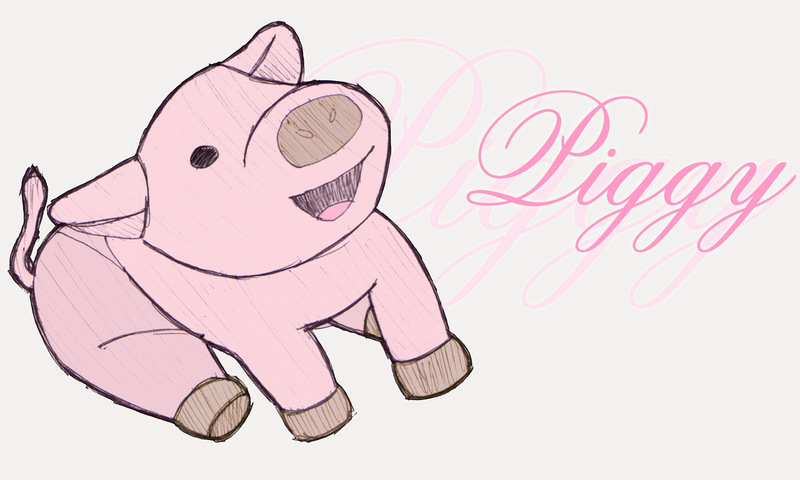 Same story as with Toasty- 4drn loves her piggies, and she's had this one for a while (he's the favorite), so I drew him to comfort her one time. Piggy is, one might say, 4drn's way of finding her chi. Notes of interest... Went with flat shading this time, very incremental changes in shade for the different sections of Piggy's body. I tried a number of different text-y things, but the classic "cursive with an echo" seemed to work best, so I stuck with it. Also, I decided not to clean up my linework very much, and keep more of the sketchiness. Not sure why, maybe just lazy. Done entirely with pen paper and Photoshop. Finally, it is 1280x768 for those of you width widescreens.